The director of a film has a huge impact on how the story is told. Justin Lin is an excellent example of this. He brings his perspective from the highly varied films Fast & Furious, Fast & Furious 6, Fast Five, The Fast and the Furious: Tokyo Drift. This Star Trek films contains no shortage of fast and furious flythroughs. From the original films, three directors really stand out: Nicholas Meyer, Leonard Nimoy and Jonathan Frakes. Meyer directed Star Trek II: Montalban’s Revenge and Star Trek VI: Soviet Klingons. Nimoy directed Star Trek III: The Search For Narcissism and Star Trek IV: Time Travelling Whales. Frakes directed Star Trek IX: Data Goes Bonkers and my personal favourite Star Trek VIII: Lewis’ Dad Goes To Space. Apparently, William Shatner had been talked out of some of his worst ideas for Star Trek V: The Final Frontier. Allegedly, the story was originally focused on Greek gods and was basically a movie remake of Who Mourns for Adonais? It is a bit surprising that Simon Pegg didn’t bring on Edgar Wright to direct this movie. Shaun of the Dead, Hot Fuzz, The World’s End and Ant-Man are all fun action-packed films. It wasn’t too long ago that people expected television to be free, broadcast over the Very High Frequency and Ultra High Frequency bandwidths. The antenna or rabbit ears would pick up the television signals over the airwaves. Local stations were the strongest, with London’s CFPL and CBC coming through strongest, and other channels from Toronto like CityTV and CTV were sporadic. In good weather, I could pick up some American stations like amazing WOIO in Shaker Heights, Ohio. For awhile, the sportscaster did a two hour weekly Star Trek: TNG marathon with trivia. Amazing! When I think about the Very High Frequency, I think about CityTV’s Late Great Movies. I think about selecting between a small handful of channels using a series of dials. I think about the episode of Lavern and Shirley where they were holding a tinfoil loop around the room to get a reception. Most of all, I think about a stupid looking pair of rabbit ears. I sure as hell don’t think of a secret weapon to destroy a superior enemy. Wil Wheaton, the actor/writer who played Wesley Crusher, summed this part up well. I like the Beastie Boys but that was just dumb and beyond lazy. It is science fiction, you can make up pretty much anything you like. If the anecdotes I’ve read are accurate, William Shatner was notorious for taking lines and roles away from other actors and this lead them nicknaming him “Captain Jerk”. Originally, the scripts involved the crew on a more equal footing and this is pretty evident with the approach that Roddenberry took with The Next Generation. So, this was a step in the right direction. Two of the three people I saw the movie with fell asleep during the movie. The third felt nauseous from the constant motion. Like the two movies before it, this one misses all sorts of excellent opportunities for social commentary. Sci-fi allows a current technological or social dilemma to be examined in a far-off future. Star Trek hasn’t been very consistent with it but it has definitely been a theme over the past fifty years. The best example of this in the Star Trek movie franchise is Star Trek VI: The Undiscovered Country. The story is about the collapse of the USSR and Americans’ struggle to reconcile decades of hatred and mistrust. It was a little less obvious than “Save The Whales” in Star Trek IV or “kill the whale” in Star Trek VIII. 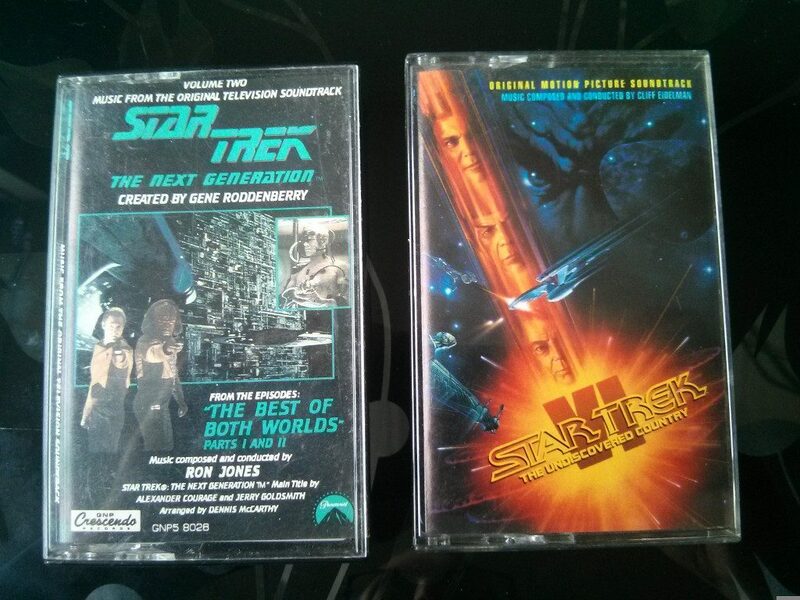 Let’s consider though that all of Star Trek has started over. Captain Thor is killed by a Romulan tattoo cult. Vulcan implodes and GenX stereotype Winona Ryder is somehow Spock’s mom. Nowhere Man Pike manages to not end up a vegetable. It’s a different universe with new opportunities, I get it. The first reboot film does a decent enough job establishing characters and their emerging friendships. Friendship was a prominent theme throughout Star Trek, and that was a fair enough start to the reboot. I don’t agree with every decision and lens flare but this was a fun watchable movie that I have enjoyed many times. Where the reboot franchise starts to unravel is with the second film. In Star Trek: Into Darkness, a private military faction manipulates a culture of fear to seize power. What an excellent political topic to examine, very timely with the rise of nationalism throughout the world. It was a story that didn’t need Khan. Cumberbatch was excellent as Alan Turing and Sherlock Holmes, but the Khan Noonien Singh and Carol Marcus characters just confused the story. Star Trek: Beyond went further. This seems to be a story about holding onto anger and seeking revenge. It think. It seems as though it is about revenge but it is missing something very significant: we never empathize with the villain. Think of Soran from Star Trek: Generations. Malcolm McDowell is exceptionally ruthless, dishonest, murderous yet the depth of his character forgives a little of the old ultraviolence. We get no such depth from our bad guys in this film. I had much more empathy for VGER. Definitely better than Star Trek: The Motion Picture. I’ll need to view it again, eventually, to determine whether it is better than Star Trek V: The Final Frontier. I am still hopeful for the new television series. The small screen is where Star Trek achieved most of its success and there is a lot of potential for Star Trek in the future. This entry was posted in Star Trek and tagged Star Trek Beyond. Bookmark the permalink.